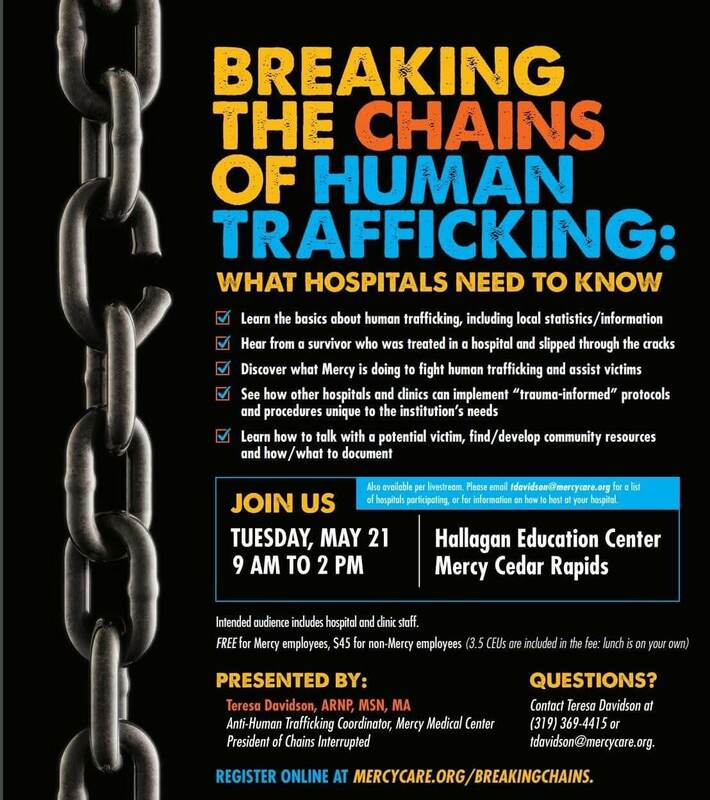 Teresa Davidson has announced the next conference on “Breaking the Chains of Human Trafficking: What Hospitals Need to Know.” It will be held on May 21st, from 9:00 AM to 2:00 PM, in the Hallagan Education Center in Cedar Rapids, Iowa, as well as presented live-stream through WebEx. Tap here to download a poster with all the details (PDF). Attend it on your own (register here).